Casa Malaparte forms part of the collective mythology of architects. 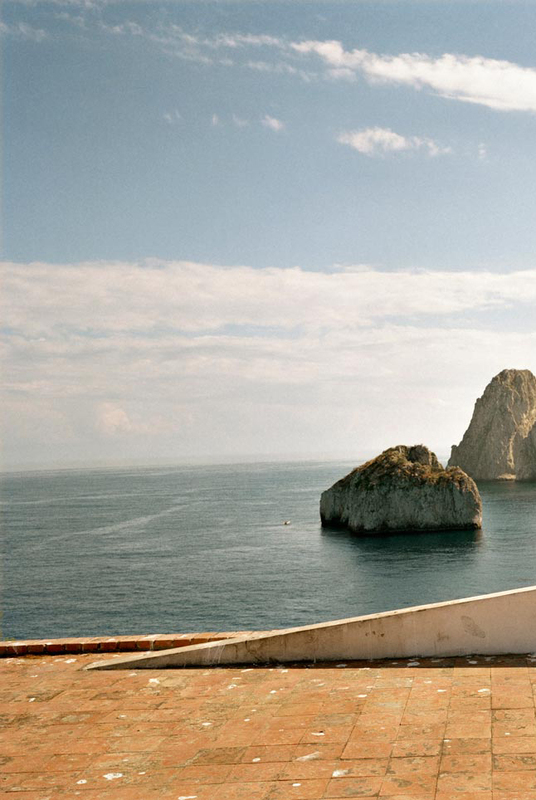 Lying flat atop a cliff on the Isle of Capri, facing out to sea, stuck to the rock like a piece of chewing gum, with its open window in the fireplace, in order to view the sea through fire. Over the years, the house has stirred emotions, and continues to do so among many. Here we present two types of documents produced around it, defining of two different scenarios we can find therein. One: on the islands, nature is the center, the starting point and endpoint of the project, of the scene. In his much-fêted novel La Pelle, writer and owner of the house, Curzio Malaparte, makes protagonists of the construction and its architect. Memorable. (I’m not going to unveil the plot. Have a look later). Two: the house, in its vigorous dialogue with nature is not lost in the domestic. It is transformed into a scenario, a grandiose setting for memorable moments in life: in his film Le Mépris, Jean-Luc Godard, employs the house, as if it were an instrument of alchemy, to transform Brigitte Bardot into an unattainable goddess. The house as a monumental setting. Seeing the documents on the filming published here reminds of just how much of stage design architecture can sometimes have. “Ach, so!” exclaimed General Rommel. And after shaking me by the hand he departed. Au détour du chemin, Paul et Lang aperçoivent la villa de Jérémie Prokosch, une sorte de bunker rouge qui domine orgueilleusement la mer. “On enchaîne sur le geste de Camille. Elle est en maillot de bain. Elle descend le grand escalier qui forme l'une des parois de la villa, et disparaît à l'intérieur. All images from the film Le Mépris. Year: 1963. Director: Jean-Luc Godard. Writer: Alberto Moravia (novel), Jean-Luc Godard. Soundtrack: Piero Piccioni. Cast: Brigitte Bardot, Michel Piccoli, Jack Palance, Giorgia Moll, Fritz Lang. 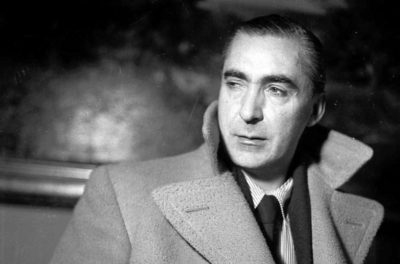 Curzio Malaparte (Prato,1898 – Rome, 1957), born Kurt Erich Suckert, graduated at La Sapienza University of Rome and started his career as a journalist in 1918. Malaparte was a journalist, dramatist, short-story writer, novelist and diplomat. His main writings are Viva Caporetto! (1921), Technique du coup d’état (1931), Donna Come Me (1940) and La Pelle (1949). 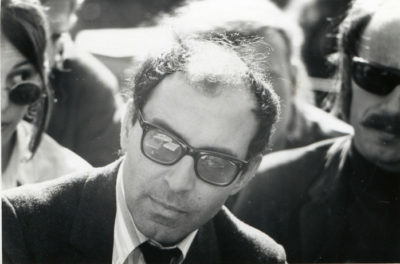 Jean-Luc Godard (Paris, 1930) is a French-Swiss film director, screenwriter and film critic, one of the main representatives of the 1960s French film movement La Nouvelle Vague. From his first film, À bout de souffle (1960) to Notre musique (2004), he addressed all film genres. In Between 1988 and 1998 he produced the series Histoire(s) du cinéma, a monumental project which combined all the innovations of his video work, the twentieth-century history and the history of film.